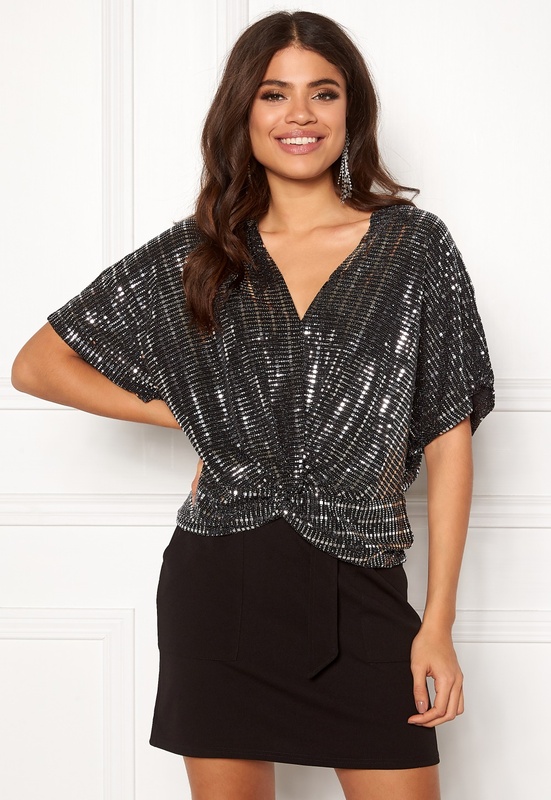 Stunning top with sequins from NEW LOOK. The top is perfect for festive occasions. - Light stretch quality - V-neck - Tie detail at hemline - Decorated with sequins Back length from shoulder 62 cm, bust 92 cm in size S (UK10). The model is 176 cm tall and wears a size S (UK 10). Machine wash at 40 degrees (delicate wash).